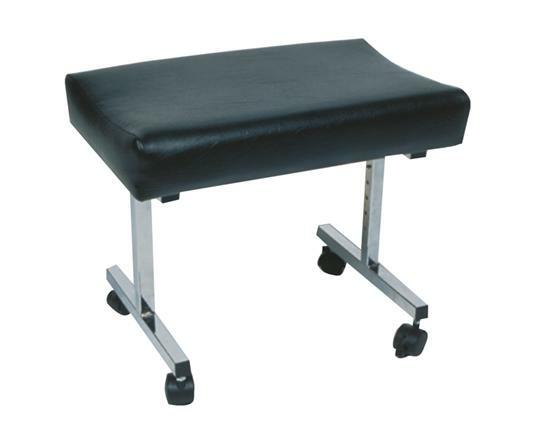 Adjustable Padded Foot Stool With Castors, Wipe Clean. This padded leg/footstool rest can be adjusted in height and tilt angle using independent spring button adjustments. The base is made from chrome plated steel tubing and has castors, the covering is black vinyl.